An application to discover, interact and learn. For everyone. Universal Art is a concept app currently competing for the Orange NFC Awards. Take a look at the key functionalities. Discovering art from a new way. 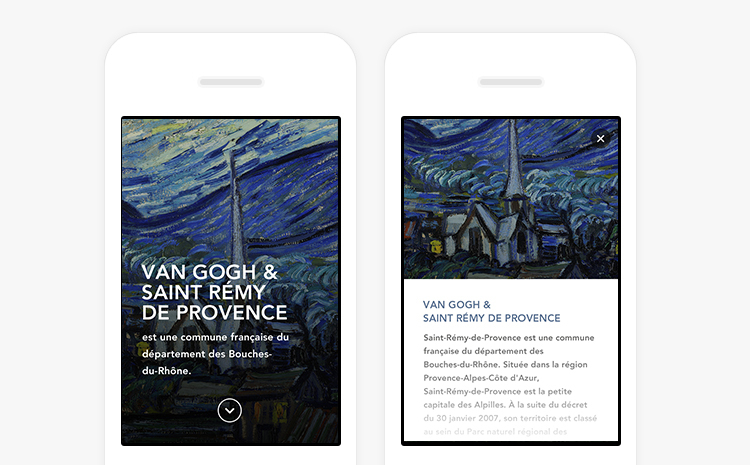 Specially build for museums and art galleries, the app is designed as a digital companion. Say goodbye to the old school (and boring) audio guide. Art should be for everyone. 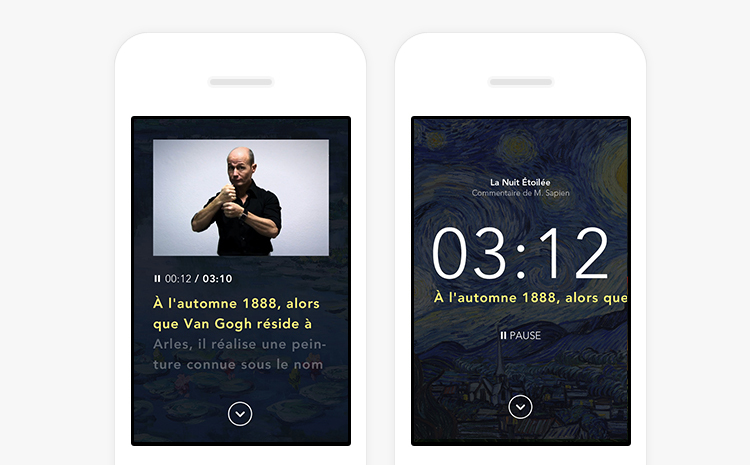 The app proposes new ways of interacting for all visitors. Exploring modes are available for Deaf/Hard of hearing and Blind/Partially Sighted individuals. The application includes NFC technology for automated detection. Maps, ticketing and sharing functionnalities are also provided. No complicated interface. Just the content. Audio commentary is automatically launched after each work detection. The audio player features a clean and minimal interface with subtitles. A video version is activated if the Visio Mode is running, specially build for deaf/partially hearing individuals. 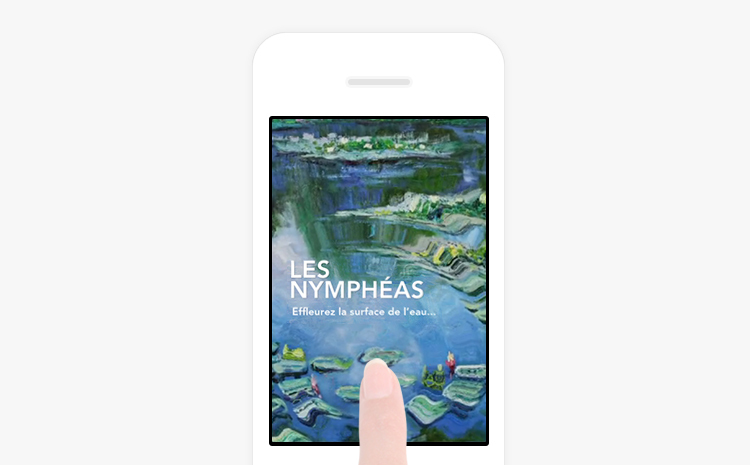 Additional is provided by the app for each artwork. Visitors can learn more about the artist, the background of the artwork or related historical data. Experience the artworks by several interactive sequences based on the artwork content. 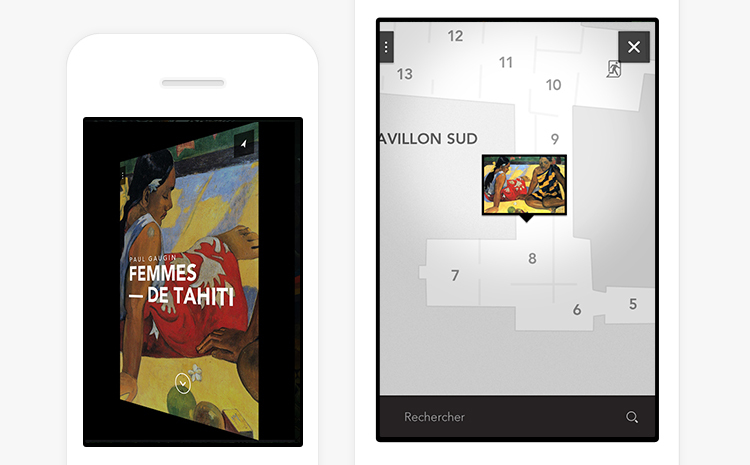 Map of the exhibition are available by touching a single button, anywhere on the application. Includes a search engine to find artworks, exits or facilities.